As short and sweet as it is, this anime made me cry a lot. It was so nice and I loved the idea of people "sharing" feelings the way they did! It was like a weird imprint in a way and it makes you wish in some ways you had that connection with others -- or at least that's how it made me feel. I love this anime and it'll always have a place somewhere in my life! I watched this all within one night and 3 episodes the following evening and was brought to tears MULTIPLE times. This show is wonderful and truly worth everyone's time to watch. Sad that its over but it truly is something that I will be recommending to everyone. The relationships between characters were so realistic and the interactions between everyone kept you constantly on your toes. Its just awesome. Overall I quite like this show. It was an emotional roller coaster of sadness. I fell in love with many of the characters and even without a Kizna I felt as if I could feel their emotional pain. And man it hurted so much I could die. And that's just an understatement. There are a few bad things. Like Noriko being a crazy b. And that childhood friend gets friend zoned cliche. God I hate that cliche. It hurts more than the most painful thing in the world. It just does. I hate it. Noriko was so selfish. While Chidori here was showing her true emotions and love towards Katsuhira. Though I kinda saw this coming. I shouldn't expect too many things. But they had a fighting chance to get together. Though Tenga X Chidori is kinda cute. Though I perfer Tenga X Nico. It's the weird cute. Got off track there but Noriko was trying to connect everyone to her like oh my god. She is just insane. Like help this lady. Like you don't have to be physically and emotionally literally connected. You can feel connected to many things. Even without a Kiznaiver. This anime made me cry a lot. More than Your Name will ever make me cry. And let me tell you that there is no pretty crying in this anime. Nuh uh. A very interesting concept with excellent trigger animation is downplayed a bit by some truly infuriating characters. The red girl is particularly grating. 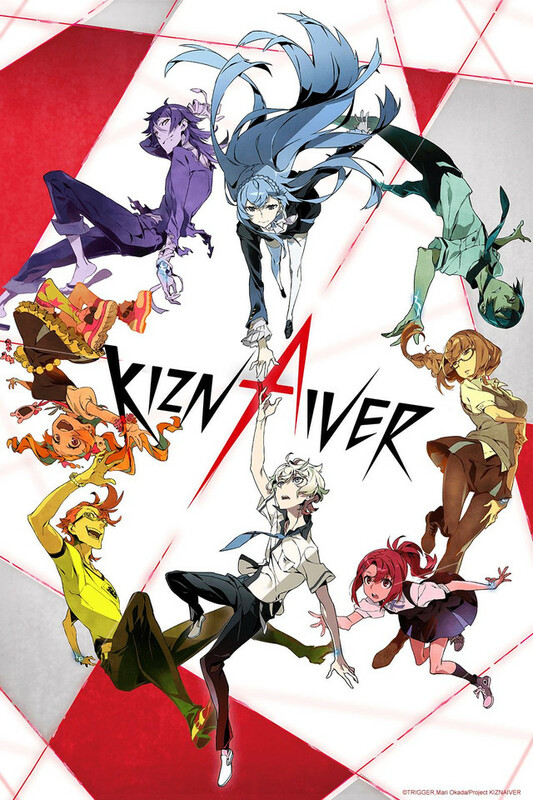 Overall I wouldn't recommend Kiznaiver, but I don't think it was the worst thing I've ever seen. Listen here you fools if you dont want this anime, please by all means, perish. The story and the morals and how they portrayed everything is just top notch. ???????????? This is honestly one of my top favorite animes of all time, hands down. Thanks for coming to my TED talk! ???????????????????????????? I'm new to anime so I've not seen many to form a broad foundation of what is good or bad. However, I do know what I like. And I thoroughly loved Kiznaiver. The opening credits were visually stunning with a terrifically memorable theme. The story itself is more of a drama, sprinkled with the essence of science fiction. Yes, the characters are part of a very dangerous experiment. But, their actions and reactions are what drive the story, not the experiment. The science fiction aspect sets a brilliant framework for beautiful character building, pulling the viewer into the hearts of the characters. The characters are thoroughly relate-able, revealing their strengths and weaknesses, reacting in realistic ways to unrealistic challenges. In the end the characters not only form connections deep within each other, they connect deeply with the viewer. When I watched the final scene, I felt as though I had lost a good friend. Kiznaiver has a very intriguing premise. It's about a social experiment about a group of teenagers who share pain, like if one person felt pain, then the rest would feel pain too. All the members of this experiment have very different personalities, so when they are all thrown together, the relationships and dynamics within the group causes emotions to run high and drama to explode. The art style is great, everything is beautiful to look at (something you can depend on Studio Trigger for delivering). The drama was real, but I felt it got kind of messy as it got closer to the end. Like they had a great idea, but missed the mark in terms of execution, so I didnt feel satisfied by the end. I really like that this anime seemed to be able to balance seriousness and humor very well. There were parts that were very serious but had sensible humor dropped in them that lightened the theme of the story but also allowed for it to go deeper. The characters due to the nature of the anime, about friendship/bonds/etc. really did grow. At least the main character saw a lot of personal growth. There were 8 main characters and since we spend so much time with all of them it would have been nice to dive into all of their back stories and see personal growth in all of them. But hey, they only had 12 episodes, they did what they could and they did well. One thing I did not like was the love octagon. That kinda of got on my nerves and it seemed a bit overbearing at times. Maybe it got on my nerve because so many shows in general exhibit the idea that "friendship" between guys and girls can never be platonic. People always end up falling mad hard deep in love. There were some scenes that were dedicated to emotional outburst of love for another character (even though it had happened before) when it could have been used to take a deeper look at some of the other characters. I felt that the anime was really good but I did not really like the stereotypical love conquers all type of ending. Then again maybe it wasn't that focused on love. You ought to try it yourself and see how everything spells out for you.